There was a lot of anticipation for the Jays as they headed into their first home series of the 2016 campaign. Friday night, the Toronto Blue Jays would be heartbroken, as the club would fall short. Donaldson and Holt would both hit grandslams, which the Jays would land on the wrong side of the excitement, losing 8-7. Stroman proved his haters wrong once again, however the bullpen would not be able to contain the Sox, leading to the loss. Saturday being a new day, R.A. Dickey would be sent to the bump in what was suppose to be our first matchup of knuckleballers in a very long time, yet mother nature would have other ideas. With the weather affecting the previous match-up between Boston and the Cleveland Indians, Boston would send Rick Porcello as his counterpart. The game would go back and forth until the third. From there, B-town would score four straight innings in a row. By the end of the yo-yo game between the two clubs, the blue birds would fall short for the second day in a row, losing 8-4. Heading into Sunday, the Rogers Centre started to become less full, but not by much. Those late season bandwagon fans from last season playoff run, started to back-out early, even though Sunday would only be game seven of 2016. 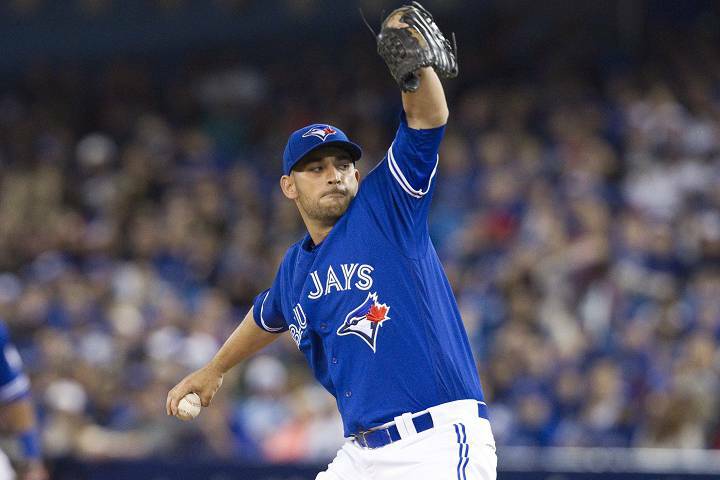 With the Jays wanting to pull out a much-needed win, Marco Estrada would throw some pitches for the first time this year. The knuckleballer Steven Wright would be up on the mound in hopes of helping his club sweep the series, but Toronto would have other plans, stirring in the pot. Early in the game, the Jays would take advantage of some misplays and high tosses, scoring two in the first inning. From that point on, it was a quick game, as both sides tossed out every batter that was being sent to the plate. During the eighth inning, Donaldson would step up to the plate, and give his club an extra assurance run by homering one into the bullpen, making it a 3-0 game, which would be the final. Fans were able to breath a sigh of relief, not being swept and being able to carry the momentum, as they will begin a three game series Tuesday night against the New York Yankees, after an off day Monday. Aaron Sanchez will be sent to the hill, as Masahiro Tanaka will start off for the Bronx bombers.